Proper maintenance is important to keep your roof in good shape. Have a professional like us perform a thorough inspection yearly. This allows us to check your roof for any signs of wind and rain damage. These include loose shingles, leaky gutters, and rotting soffits that can cause water damage. Once we detect these problems, we will make the necessary repairs. Leaves and branches on your roof can damage its shingles or tiles. Keep your roof clean and healthy by sweeping any cluttered debris weekly and having it professionally cleaned yearly. Keep your gutters unclogged to allow the free flow of water from your roof into the ground. Ponding water in your gutters can seep into your roof and further damage your interior. You can turn to Tedrick’s Roofing for quality roof maintenance. If your home has a skylight or a roof window, we will also check this component for signs of damage where water could seep in. Our professional crew can make an accurate assessment of your roof’s condition and offer the necessary solutions for a lasting system. 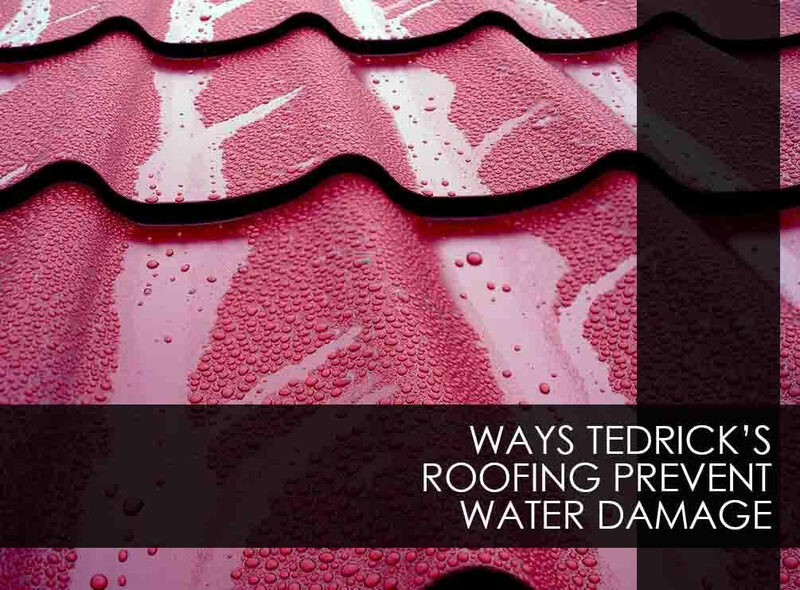 Once you notice any of these issues on your roof, call Tedrick’s Roofing to avoid moisture-related issues. Our years of experience and regular training allows us to deal with such issues effectively. Call us today at (877) 212-9355 or (253) 499-9660 to learn more about our roofing services. We serve communities in Seattle, WA, and the nearby areas.